No longer can you and a buddy high-five while punching samurai. Co-Op gaming's been in a weird place lately. On the one hand, you've got the indie scene, in which local co-op dungeon crawler/twin-stick shooter/roguelike/beat-em-up games are coming in at an almost comically fast rate. On the other, you've got AAA developers slowly, but surely, moving away from any form of local co-op. Unfortunately, Ubisoft's For Honor is the latest victim of said movement. It's sad to see local multiplayer scratched from yet another game, but given the potential for performance struggles that have plagued past split-screen titles, it's entirely possible that optimizing the local experience required far more effort than it was worth. As much as I would've enjoyed plopping down on the couch and beating up on a few dozen knights with a friend, I'd much prefer to see a single fully realized co-op experience than two mediocre ones. 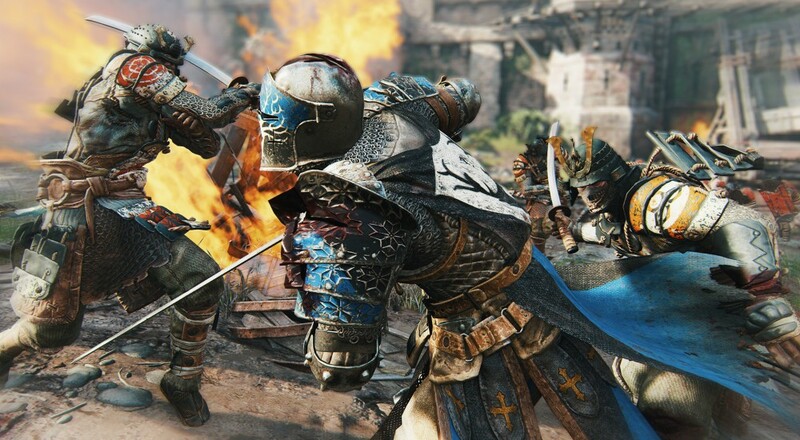 We'll find out if that's really the case, though, when For Honor hits PC, Xbox One, and PlayStation 4 on February 14th of next year. Page created in 0.4040 seconds.